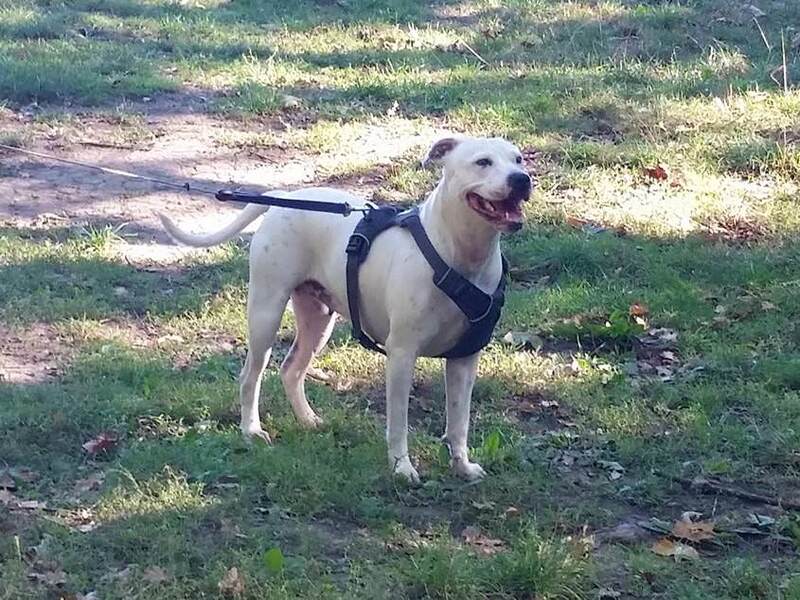 Meet Tara, a 15 month old white Staffordshire Bull Terrier Cross who is looking for a new home after her previous owner had a change of circumstances. We would also like to find her a foster home where she can stay while she waits for her forever home. 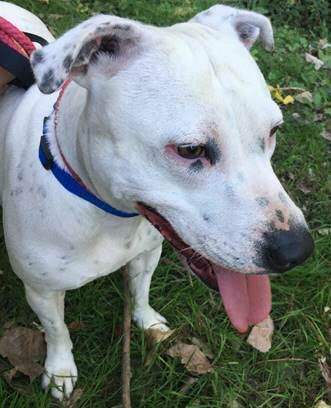 This sweet girl is fine with dogs when out and about so could live with a calm male dog and with kids aged 8+, but no cats please. Tara is partially deaf but this isn’t a bad thing as it means she doesn’t bark when left alone!